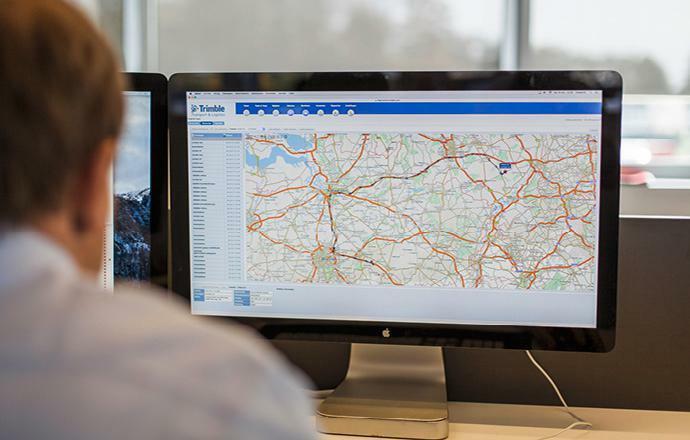 Lanfer Logistik GmbH, a logistics service provider, has equipped its fleet with Trimble’s innovative Transport & Logistics telematics solutions. Trimble’s CarCube telematics system was installed in 340 of the Meppen-based company’s tractors. Lanfer has also implemented Trimble’s FleetWorks and FleetCockpit back office applications. The Meppen-based logistics specialist’s goal is to significantly increase the productivity of its transport division. Although we are not yet using all the system’s options, it has already fulfilled our expectations. Lanfer Logistik spent over a year comparing the different systems available on the market and identifying the technology that best suited its needs. Fixed installation and durability ranked high on its extensive list of requirements. In addition, the telematics technology needed to be mature. Other important considerations included the ability to use the system for mobile communications as well as have access to support. Another one of our priorities was ensuring that our drivers could find a consistent workplace in every vehicle. The system is also proving its worth in daily operations, with the company reporting significantly shorter and more efficient working processes in comparison to its previous telematics system. Drivers can process a complete order with no more than eight clicks on the CarCube touchscreen. The sophisticated FleetWorks and FleetCockpit back-office solutions have also eliminated numerous sources of errors. “Drivers are guided through their routes from A to Z and provided with all relevant information at the right time,” said Strahl. For example, details of the consignment quantity or the dangerous goods class and associated procedures are visible to the driver. Another perceived benefit is that rather than simply displaying addresses, the new Trimble navigation system identifies the destination down to the nearest metre. On some of the large and complex sites we deliver to, this represents a major benefit that saves a lot of time and consequently money. The logistics service provider is also expecting further increases in efficiency from the Trimble document scanning application set to come online shortly. 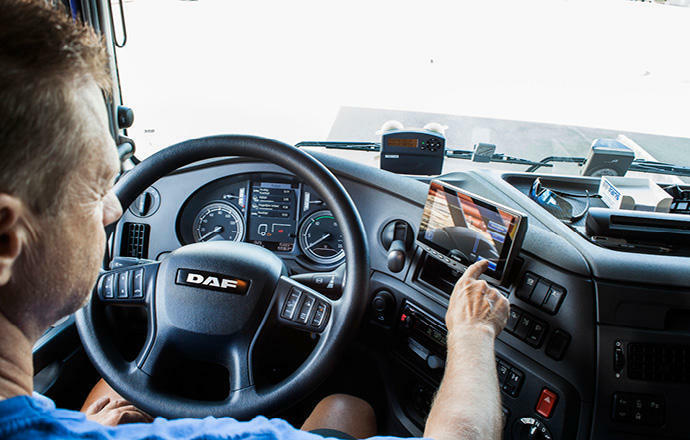 This will allow drivers to use the CarCube solution to quickly and easily complete tasks such as sending freight documentation to Lanfer administration. “Our goal is to reduce the time spent on processing documents,” continued Strahl. Based in Meppen, in the Emsland region of Germany, Lanfer Logistik GmbH is an internationally operating logistics company specialising in transportation and services for the chemicals and food industries. Founded in 1922, the company now operates a fleet of over 550 modern truck tractors and more than 1,100 tank trailers, including multi-compartment vehicles with up to six compartments and special single-compartment vehicles with a loading capacity of up to 26 tonnes. The company also has unloading facilities for gas displacement methods, vehicles with overfill sensors, ANA (Aufmerksamkeits-Not-Aus/ Attention button with emergency stop) systems, hydraulic pumps, compressors and vehicles with sterile filters and silicate gel filters, vehicles with dial indicators, vacuum trailers and special vehicles for products transported at temperatures between 150 and 200°C. Lanfer currently employs more than 650 people. Lanfer Logistik GmbH is a Germany-based internationally operating logistics company specialising in transportation and services for the chemicals and food industries. The company now operates a fleet of over 550 modern truck tractor and more than 1,100 tank trailers. Lanfer currently employs more than 650 people. 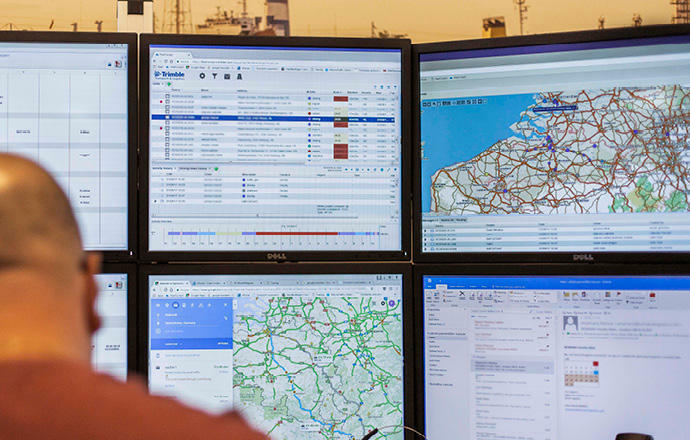 Are you ready for the optimum organization of your transport and logistics with Trimble?